In the next example what we're going to do is talk about how to use the dollar sign as an alias for the jQuery object. So let's go ahead and look at the code that we were working with previously. We were using jQuery, and here we're using jQuery as well. What we're going to do is use this dollar sign here instead. 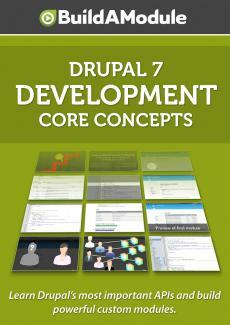 When you look at code throughout Drupal, you'll see this dollar sign used extensively. Because the jQuery object is used so often, having a short alias is very useful and the dollar sign is so conventional that when people are looking at jQuery code, they are often looking for this dollar sign as an indicator that the jQuery object is being used.